So ninjas, is that time of the year again when we all go into that happiness and goodness mood. Where we are all looking to buy gifts for our coworkers, with whom we’ve spent a lot of hours this last year. For our loved ones, friends and family. …we can go crazy and sometimes, have huge headaches because we don’t know what gift to buy for our handyman dad or for our brave moms who work in the construction industry. Maybe you simply want to give a gift to your hands-on granddad who is one of those crazy DIY enthusiasts. It might be early now, depending on when you are visiting this site, October or November. But some of us likes to get ready with the presents, waaaay before the Christmas rush. And some of us … for many reasons, we leave it to the last minute. Well, whatever might be the case, I thought I should put together a list of gift ideas for constructions workers and DIYers. This will release a bit of pressure from your shoulders (I hope) and will help you decide easier what presents to shop for this Christmas. The list is a mix of tools, gadgets, accessories and other things that might not necessarily be related to building professionals … but they are the latest trends in gifts and might actually inspire you. There are not listed in any particular order, so the first one doesn’t mean is the best or the last one it doesn’t mean is the worst. So let’s go into it! 1.17 #17. Engraved Hammer Plaque: Unique Christmas Gifts For Him/Her?! So, if you are thinking what to get to a construction worker for Christmas this first item from my list could be a winner easily. Is not expensive and almost anyone likes to have a thermal cup whilst at work. I do. I use it either for keeping my green tea worm during the winter days or to keep my cold water nice and refreshing during hot days in summer. For Whom Could You Buy This As A X-mas Gift? I simply love this Lego Brick-Style Mug. It's really a nice and unique gift for construction workers. I do believe it's modern as well it will attract a lot of attention. So, make that geeky friend of your happy this Christmas by giving him/her this Lego coffee mug as an Xmas gift. To be honest, this cup will be awesome for any general contractor. For Whom Could You Buy This As A Christmas Gift? In the construction industry, many times (most of the times actually) the food that we eat on the site canteen is ... let's say not the best quality. And when the canteen is not available, we tend to eat even worse food. I'm talking about junk-food from the fast-food chains. On many occasions, I did had brought my food with me at work ... but guess what?! This would be an awesome accessory to have for any general contractor. For Whom Could You Buy This As A Xmas Gift? Well, how about this incredibly cute looking flower/plants pots? I love having plants in the office (or on my working desk at home). ... will fall in love with these little guys!!!! Who Would Like This As A Christmas Gift? Yep, we always need batteries when doing DIY or working on construction sites. If you are looking for an easy gift ... this might be it. Comes with Pro Charger and 4 Energizer AA Universal NiMH Batteries. Not the sexiest gift for a construction worker ... but it's a practical gift. Math-Science-Algebraic Precision. All on One Handheld. This is a really cool little gadget for a smart guy/girl. I personally don't know about these type of calculators. Only thing I know is: these calculators are extremely smart nowadays. I did give one of these to my older son and he's using it at the university. If you know anyone who loves to do maths and calculations ... this might be a good present. Here again, we have a nice little thing ... that is not necessarily related to construction ... but is something that is trendy at the moment. Or at least that is my feeling. I've seen and heard many friends buying this little Himalayan salt lamp. So I thought it might be a good idea to added to my X-mas list for construction workers as well. This one could be a very nice gift for your colleagues in the office or even for your boss. Who Would Like This As A X-mas Gift? Another little gift that might not be the sexiest but can be a very practical gift for him or her is this very nice and powerful lantern. I have never seen a handyman or craftswomen not to have one of these little important tools in their arsenal. So if you think someone that you know is missing a lantern in their tool bag ... go for it. This gift will make his/her day! It will be as well a very handy piece of kit to have around the house. Maybe granddad or grandma needs one. This is something that I see more and more for the last few years. Growing a beard became a culture. There are tons of websites talking and teaching how to trim a beard perfectly. Continual maintenance is part and parcel of growing an epic beard. A poorly groomed beard is not only a turn-off, but it can also lower a man's self-esteem. This is a really nice piece of kit to buy for those of you who have friends with beards. Could be a good X-mas present for contractors who love to have a long and beautifully maintained beard. I've seen many colleagues in the trade buying this kind of gifts one for each other. Merry Christmas dear friend or colleague or mom! Not expensive, and if you order it on time ... you'll have one thing less to worry about. Have a look around on Amazon, I'm sure there might be some other designs that might be cool. Now ... this is a gift that I would like for myself. Santa Claus, if you read this post of mine ... please Santa, I would like a smartwatch like this one. I was a good boy 🙂 I Promise! Many colleagues who like to take care of themselves, they bought this watch or similar to use it for example as a health & fitness tracker. How many steps they do in a day and things like that. I would love to have a smartwatch to use it with my Samsung smartphone. It will give me a lot more freedom when I do DIY or working on building sites. It has some crazy awesome features this watches. Depending on the budget, the smartwatch will have more or fewer features. Could be a great Christmas gift for construction professionals. Did you know you can take a call with the watch?! You don't even have to talk your phone out of your pocket. Amazing! Who Would Like This As A X-mas Present? A great tool to add to any PRO tool's arsenal. The DEWALT DW03050 laser distance measurer has the ability to calculate area and volume, making job estimates quick and easy with automatic calculations. The indirect height measurement uses Pythagoras to measure distances even when points A and/or point B are not accessible for linear measurement. It has a small memory unit that will store your last five measurements. It's a really good gift idea for handyman, craftswomen, decorators ... etc . For Whom Could You Buy This As A Christmas Present? This could make a great cheap gift idea for man and women in construction. Especially for those who work in the office I'd say. One thing you have to make sure before you buy this device is that the charger is actually compatible with the phone that your colleague or friend is using. This might be an excellent gift for a site manager, a project manager, maybe a secretary as well. Or for all those friends and family members that like to stay up to date with the latest gadgets and electronics. This paper tablet - it's a digital device for writing, reading & sketching that feels like paper. Here to replace your notebooks, printouts, and documents. It really looks like something I would enjoy having since I do write quite a bit. This heavy-duty apron I believe it could be a great gift for someone who works with metal or woodwork. Just by mentioning metal, I'm sure it comes to mind some flames, sparks, hot liquids and all that dangerous stuff for someone's health and safety. For woodworking is awesome as well. It will repel water and the person who will receive this as a Christmas gift ... will be very happy, that finally, his/her clothes will be clean at the end of their shift or task. Not to mention that will keep the person safe from the above-mentioned hazards: sparks, flames, hot liquids and so on. If you know someone doing woodworking or that works with metal...this could be a great gift for her/him. Who Would Like This As A Christmas Present? Construction sites are so noisy. Even if we take many measures to bring that noise down ... some of us are more sensitive than others to noise. ... other than just protect yourself from damaging your hearing when these situations occur by using ear protection. Who Would Like This As A Christmas Gift This Year? #17. Engraved Hammer Plaque: Unique Christmas Gifts For Him/Her?! It might not be the most unique Christmas gifts for him or her ... but it definitely adds something very personal and singular to it once you have engraved that special person's name on that hammer. It will be a one-of-a-kind Christmas gift for someone working in the construction industry. This is a beautiful engraved maple wood plaque engraved hammer. The Plaque measures 15.5" long x 6" wide and is 0.625" thick. Who Would Like This Gift For Christmas? ... simply because I'm a mess when it comes to keeping my mobile safe at work. This year was a bit better since I've learned my lesson the hard way and bought myself a case to protect my Samsung smartphone. Last year though ... was a pretty sad one. I've damaged (beyond repair) 3 smartphones whilst working on a construction site. Anyway, as I've said, I've learned my lesson. This one could be a good X-mas gift for any PRO in the construction industry. A pair of safety glasses is meant to obviously keep safe any construction pro or DIYer from getting anything into their eyes. I've seen people who had severely damaged the eye whilst cutting concrete for example. One little stone fired up at the speed into your eyes ... and that's enough to lose your vision forever. So, a pair of safety glasses is a MUST for any PRO. If you live and work in a very sunny area (lucky you) ... this type of safety glasses will give your eyes some shade as well. Which, I'm sure, it's so much appreciated. Who Would Like This Gift For X-mas? Yes, I love to have a good cup of coffee. My wife is from Brazil and we make some really nice coffees at home with freshly grinned coffee powder. And when I go to work, most of the times the coffee that's available onsite ... is instant coffee. Not for me! If I'm really desperate for a coffee I'll have one from the canteen but most of the times I'll wait to finish my shift to go home to my Mrs and make a real coffee. If your dad or mom are construction professionals ... they might like to have this coffee machine as a Christmas present. Ideal for contractors and homeowners to measure moisture content in wood, concrete drywall, and sub-flooring. Easy to use: stick the stainless steel pins into the surface of what you are measuring and the meter will give you the data you need. Can be used as a water leak detector after flood damage, or general water damages. It's a very precise tool. So if you know anyone working in this area, this might be for them. Who Would Like This Gift For X-mas This Year? The tape measure is one of those tools in the building industry that haven't really made any huge changes over the last years, decades. I mean, there is not too much to do to it, right? It's just a measuring tape. Well, lately, I have seen these nice and modern digital measuring tapes. It makes life a little bit easier when it comes to reading your measuring. It's very accurate, easy to use of course, great for helping to hang a picture and other DIY or professional tasks. I personally, never heard about this kind of earplugs before. But I already like them. They do something really cool in terms of how they work. Apparently, you have warm them in hot water. Leave them to chill a little bit and then you will mold the plugs to the right size and shape of your ear. That's so cool. Cheap and practical for any construction tradesman. Who Would Like This Gift For Christmas This Year? Yep, this is one of the best gifts that you can give to a construction worker. ...this piece of kit, a job site radio player makes our days so much better. we listen to some "Despacito" by Luis Fonsi 🙂 It puts me on the right mood. It can help productivity for some of us as well. I do tend to do things much faster with some music that I like in the background. 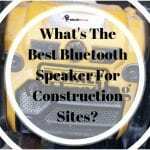 Some of the best job site players for construction pros comes with Bluetooth. The higher-end models come with a built-in battery charger that will do both: play the radio + charging your tools batteries. This is a 100% YES-Gift For Builders. Here's a list with some of the best jobsite radio players if you want to see more options. This jacket will keep your dad, brother, wife or mother ... warm in winter or in windy conditions. The Milwaukee version of this heated jacket doesn't have a hood. You might want to check out the DeWalt. They do have a heated jacket as well and comes with a hood. If they don't want to take the jacket off anymore as I said above, no problem. The jacket looks like a normal urban jacket. So if they manage to keep it nice and clean they can use it as a casual jacket as well during the winter. Can I Say That Everyone Would Like This?! You know, many people tend to forget this, but we have to take care of our health and safety. No matter in which industry you work. We have to think a bit more about our body and how we do things whilst at work. This back protection belt is a very good thing to have if you work in construction. Especially if you do a lot of manual handling. I see the bricklayer's helpers or the boys working with drywall. They are carrying these heavy materials up and down all day long, five days a week (or more sometimes.). And they don't have any protection for their backs. They will badly regret that as they will get older. If you know someone that does a hard job in construction or move up and down a lot, you might think to give them this belt as a gift. This one here is another great Xmas gift for women or man that are on building sites every day. We all have to use them. But definitely, it's a win-win if you go after this when trying to decide what to buy for your mom, dad, friend, colleague that works in construction. There is not too much to say about this other than you should go for good brands when it comes to safety boots. Amazon has boots for all the budgets. Trust me, for builders and construction pros, the boots are the most important accessory that we have. When I see a nice tool-belt like this one ... the first thing that comes to my mind is a carpenter. Of course, they are not the only ones who use tool-belts in construction. The guys and girls working with drywall as well they use this a lot. Both of these two trades would have a nightmare nowadays doing their jobs without a tool belt. It's extremely handy and it saves you from going up and down all the time for screws, hammer, drill, measuring tape or any other accessories that you might need. This is one of those good gifts for construction workers that can't fail. It looks awesome and the quality is top notch. This is excellent for any builder to have in their car. You never know when you are going to need an extra plug. This heavy-duty DeWalt power inverter charges via AC and USB outlets. Is as easy as plugging the power cord into a vehicle's 12-volt cigarette lighter to enjoy the convenience of a household outlet and USB ports. The inverter includes a single 120 Volt AC electrical household outlet to charge laptops, video games, cameras, and other small electronic devices. It's a nice small X-mas gift for him or for her. I remember how a colleague saved me for a couple of days by using an inflator similar to this one. I was driving a telescopic handler on a big project. And the tire caught a small screw that made the tire to lose air. It would've taken hours for someone to come and fix the tire. Luckily he plugged in the inflator into my tires and that kept me going for a couple of more hours. This is very common on construction sites. There are a lot of debris, nails, screws other things like that on the access road and it's very higly possible to puncture your tires. Having one of these inflators ... it can save you of getting stuck in the middle of nowhere. Pump a bit of air to get you to the next tire shop and carry on your journey! Good thing to have in any general contractor's van! I love DeWalt. These guys are thinking about everything. Who doesn't want a backpack like this one? By using the 20v battery that you already might have if you use DeWalt Tools ... you can charge your phone and your tablet. I bet some of my coworkers of friends would love one of these as well. It could be an awesome gift for him or for her as well. Who Would Like This Gift As A Christmas Gift? One of the best gifts for men, dad, husband, mom, wife, friends, family...etc. Not only because of how incredibly practical this gift is .... but because it's cheap as well. Great for working on ladders and tight areas. Keeps your hands free while working. Time saver! Who Would Like This Christmas Present This Year? Another gift idea for builders under 50 bucks is this DeWalt drill holster. The lucky person to receive this gift for Christmas will be more organized, more productive by having quick access to the drill. It fits any type of drills, not necessarily only DeWalt. But to make sure you are buying the right gift ... just check over to Amazon the description and questions asked and answered by other customers. Who Would Like This Gift As A Xmas Gift? If you really want to impress your mother or father with an Xmas gift ... here might be one of the ideas. If both of them work in construction or something related where they use power tools quite a lot, I suggest you have a look at some kind of power tool combo-kits. They are much cheaper than if you would buy them separately. 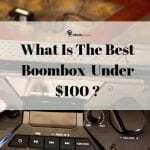 ... if you dad and mom are making money using these tools, DON'T GO FOR CHEAP BRANDS! They need to have the best tools possible in order to keep a high standard in their jobs. Who Would Like This Christmas Gift This Year? I don't even know if an article like this needs a conclusion. Even if you don't choose to go with something from my list ... I'm sure that reading it will give you some ideas of your own! Let me know in the comments if you liked it. Was it helpful at all? 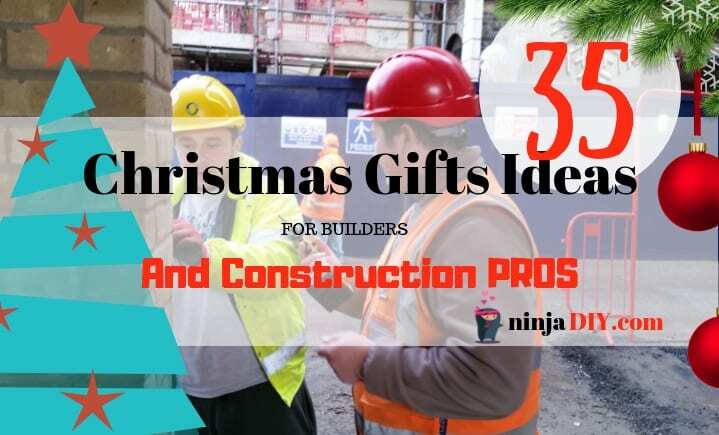 What would you like for Christmas if you are a builder or a DIYer?